These Chippewa Men's Waterproof EH 73060 Insulated Logger Boots feature protective brown, briar oiled, 8-inch high uppers, paired with classic Goodyear leather Welt construction. The Chippewa boots are also ASTM-rated for full electrical hazard coverage (perfect fo ... (see full details) (see specifications) #CHP73060. These Chippewa Men's Waterproof EH 73060 Insulated Logger Boots feature protective brown, briar oiled, 8-inch high uppers, paired with classic Goodyear leather Welt construction. The Chippewa boots are also ASTM-rated for full electrical hazard coverage (perfect for industrial applications, electricians, and for utility lineman boot applications). The Vibram Tacoma yellow plug logger outsoles that are included in the design employs both oil- and slip-resisting rubber...you'll love all these features the men's boots have, plus more. Don't forget about the 400 grams of 3M Thinsulate Ultra insulation. This is loftier and thicker than the original Thinsulate insulation, so you'll have even greater warmth and comfort in these Chippewa boots. You'll find brushed ruby nylex lining on the interios that'll give you years of comfort. In addition, the brown boots also employ a host of design advancements that deliver a full range of safety and comfort enhancements. The ASTM-rated steel toe protection gives you additional coverage - your toes will appreciate this added feature. You'll enjoy the Texon insoles to maximize your long-term comfort, as well as Chip-a-Tex Construction and the one-piece unit Vibram Tacoma Logger Yellow outsoles for incredible durability. With durable leather and extremely comfortable leather uppers, this is one incredibly functional and stylish pair insulated boots that are tough to beat. Other interesting design facets includes the addition of Goodyear leather Welt construction, which makes it easy to replace the rugged soles and get many more years of use out of your EH boots, once you've "broken them in." This is an especially nice feature, because you'll get incredible longevity from the Chip-A-Tex waterproof booties. Why? Because the design makes the 400 Gram Thinsulate insulation work in tandem with the high quality Chip-A-Tex guaranteed waterproof booties that'll keep your feet dry, warm, and comfortable. For added support, there are steel shanks built right into the waterproof boots. With the 4 iron rubber/6 iron robus combination midsoles plus the antique brass non-tarnishable hardware, your feet will be safe, supported, and kept dry during not-so-ideal weather conditions. Tie up this Chippewa footwear using the sta-tied heavy duty wax laces. These will remain in place until you choose otherwise. Buy your first pair of Chippewa Men's Brown Waterproof Steel Toe 73060 Logger Leather Boots today and learn why they're the favorite of thousands of working people worldwide! Get three years out of a pair. Getting ready to buy my fourth pair. They are warm in winter and cooler than regular leather boot in the summer. Also one of the easiest boots to beak in. Been buying these boot's for year's. best boot there is. Work for power company. Tough boot, got lots of wear out of my old pair. A chain saw cut up one shoe pretty bad, but by golly my foot was fine. Getting the same boot as it was comfortable and well insulated. Don't over look this boot, it's got what you need out there in the northern woodlands where you need protection, safety, comfort, and warmth. And free shipping--man what a deal. We all got our brother a pair of these boots and he sure does like them alot. He aint never had nuthun like it and says they are ever so nice. 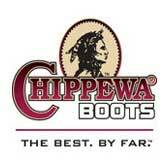 Chippewa Boots: Men's Brown Waterproof EH Steel Toe 73060 Insulated Logger Work Boots is being added to your cart.